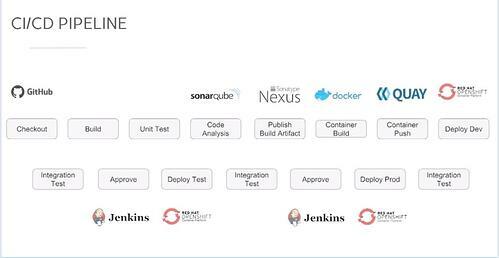 The continuous integration and continuous delivery (CI/CD) pipeline sounds like a great way to get your application production processes moving faster and more efficiently. But when you have many different outputs and development staff converging at the same points, things quickly become more complex and confusing than you anticipated. Suddenly, your neatly organized assembly line of parts becomes a jumble. Learn to automate your delivery processes seamlessly by watching Advanced Container CI/CD Pipeline Orchestration for the OpenShift Environment. In this free, on-demand webinar, a Vizuri expert will teach you best practices for DevOps automation and building containers in the OpenShift environment. Thanks to Red Hat and Intel who made this webinar possible.